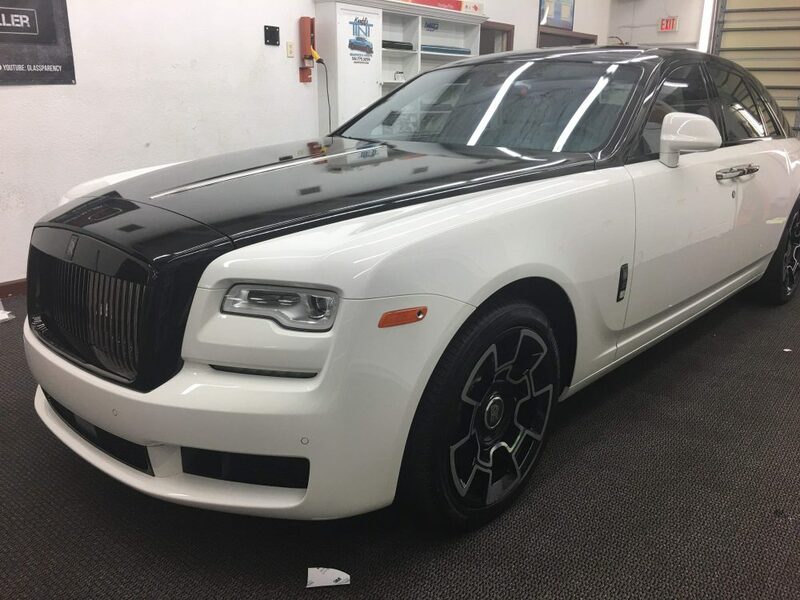 We wanted to give a shout out to Kauff’s Window Tint & Graphics in Palm Beach Gardens, Florida for the pics of this stunning Rolls-Royce coated with our Geoshield Ceramic Elixir Coating. This vehicle was brought in to receive the black accenting wrap on the top and to have the Ceramic Elixir applied to enhance gloss, preserve the paint / wrap and keep it looking great. Take a look at the gallery below and I think you will agree that this accenting wrap along with the Ceramic Elixir will be sure to have heads turning when this Rolls hits the streets. For more information about Geoshield Ceramic Elixir Coating, click HERE. If you have questions, call us at 800-234-6133 or email us at info@geoshieldusa.com. We would be happy to answer any questions and connect you with a local Geoshield Dealer.